I am absolutely thrilled to have been named a Girlguiding Scotland WOWwoman for my work as a musician and teacher. The campaign aims to empower girls and young women by building their confidence, raising there aspirations and offering them amazing opportunities. Learning a musical instrument is a fantastic way for young women to gain confidence and self belief, as well as learning a new skill. The students I teach all work extremely hard to achieve their goals, and make my job a complete pleasure. I am very lucky to teach such wonderful girls who I am sure will go on to do amazing things. I think WOWwomen is a brilliant campaign to encourage girls that anything is possible. I had some fantastic experiences myself as a Guide when I was younger. Not only did I make some lifelong friends, I was also lucky enough to go on several trips including one to the world centre Our Chalet in Switzerland. Being selected as a WOWwoman by the young member of Girlguiding makes it even more special. 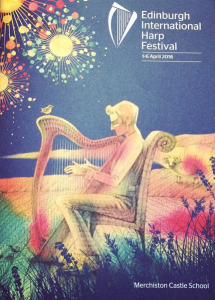 I had a lovely time performing my composition Shorelines at this years Edinburgh Harp Festival. I was joined by John Lowrie on drums which was great. I also was able to film a video of the performance which you can watch here or on my YouTube channel. I am delighted to have won the Clarsach Society Young Composer Award 2015. My winning piece is called ‘Shorelines’ and will be premiered on Sunday 3rd April at Merchiston Castle School in Edinburgh. More details of the concert can be found here. A huge well done to all of my students who took part in this years Glasgow Music Festival. A special mention goes to Jemma Hughes who won the Clarsach Solos open class. Keep up the good work girls! 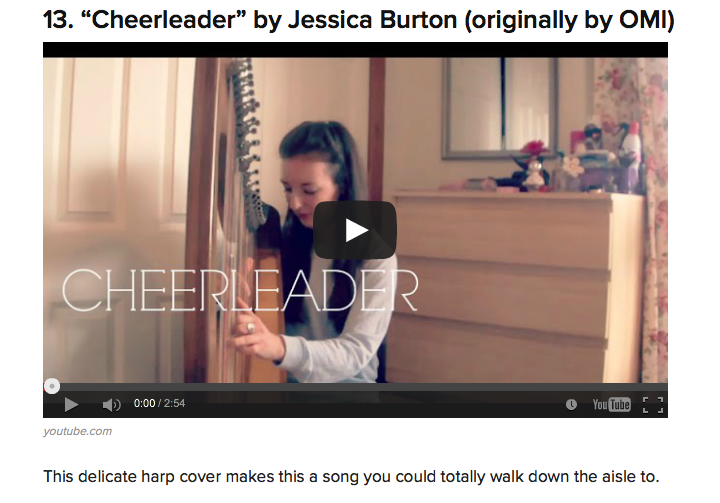 I was delighted when I found out that one of my harp videos has been included on a BuzzFeed post about instrumental covers. 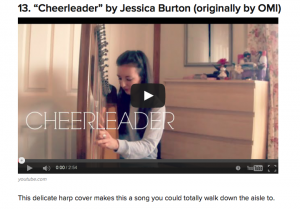 My video of Cheerleader by OMI is listed on 15 Instrumental Covers Of Pop Songs That Are Better Than The Original. Click here to view the full list and click here to watch my video.